Sapa should be done correctly and staying at these places will only enhance your experience. 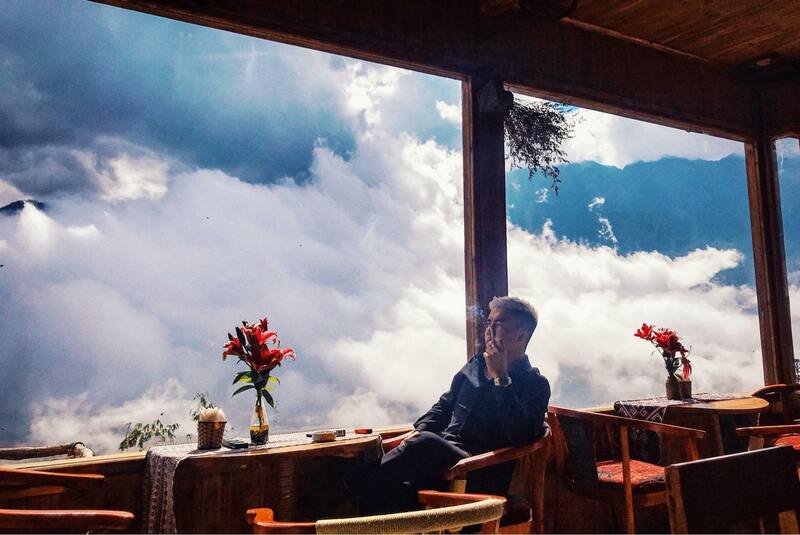 H’mong, Dao, and Giay people speaking English more fluently than Vietnamese, tremendous natural vistas right outside your balcony, an early morning chill with clouds hovering over the mountains, this and more is what you should expect from Sapa! Located on the northern border of Vietnam, Sapa is the only region of the country that has snow in the winter, which tempts many Vietnamese travelers. However, Sapa is more than fluffy flakes! The highland is charming with its pure fresh atmosphere, authentic people, amazing natural food, and relaxing living habitats. You can check our complete guide on what to see and do in Sapa, which also includes a great selection of food. With this article, I’m going to highlight how and where to stay in Sapa. Where to stay in Sapa depends on what sort of experience you desire. Sapa town is suitable for an afternoon in the spa, shopping, and several eating spotlights. You can also book day trekking trips for out-of-town visits. If you wish to have fun at night, I recommend staying in town (near Sapa Church and Sapa Market). As you walk down the main streets of Sapa town, you will find sparkling cafés, rustic restaurants luring in customers with the warm smell of grilled sweet potato, corn, and sizzling meat. At night, you can lay back with a beer in a small-town bar. 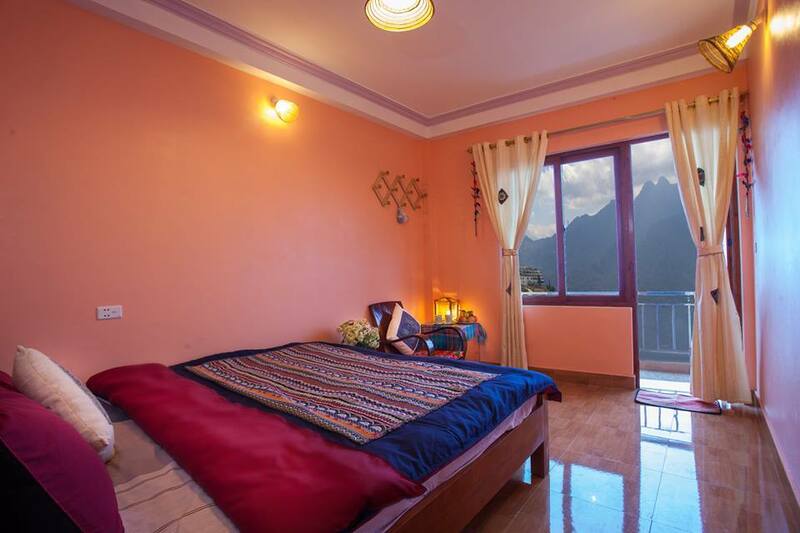 Located in the center of Sapa town, this homestay is ideal if you wish to visit the town at night. Though listed as “homestay”, the services and amenities provided are as good as a hostel. 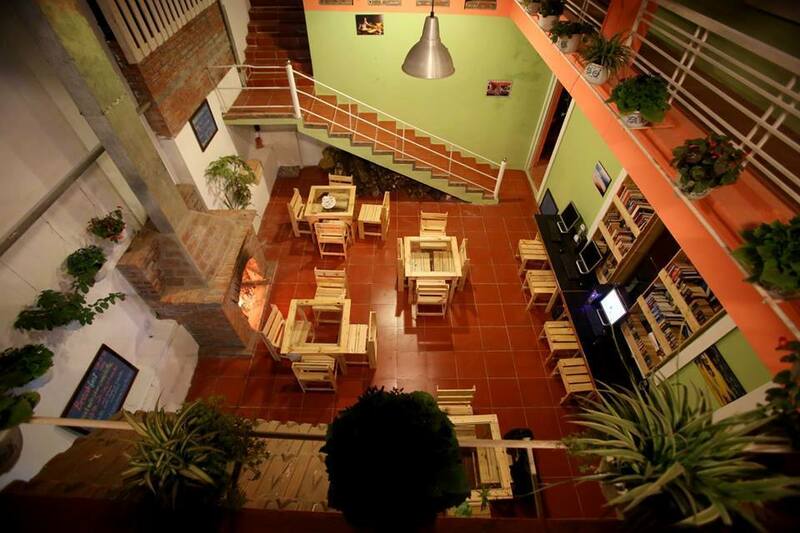 Clean, neatly designed, friendly with an international atmosphere, and located right in the heart of Sapa Town, this hostel is great for any backpacker. Dorm rooms are available for individual travelers, and there are rooms for couples or a group as well. I like this homestay a lot because of its owner. I work in Saigon and every day going to work, I pass by Ao Dai Boutique House – Huu Lala, beautifully green on the outside and so warm inside. This authentic boutique in Saigon shares the same owner of Phori’s House – Ms. Huu! At Phori’s House in Sapa, expect to stay in a wooden, delicately crafted bungalow settled calmly on a natural hill. Big rocks nestled in the small stream in front of the house are perfect for your morning reading time. An ascent on the trail will take you to a higher cliff cluster where just sitting and watching the afternoon smoke from the villages below will charm your soul. What I love most about this house is their organic vegetable garden, where you can grab some lettuce, get right to the well-prepared kitchen, and make your meal! Phori’s House provides you with fabric bags instead of plastic, and kindly reminds you to sort garbage according to their instruction. You live green here and protect the environment! Originally, this was the gallery of a Hanoi-an artist who removed himself from the busy Hanoi streets to this rustic town for a calmer life. The homestay possesses an amazing vista which allows you to contemplate the huge valley and rice terraces below while enjoying your breakfast. This homestay is built mainly of wood. The second floor is now for guests to stay. Once a home for the owner’s friends when they visited Sapa, today, Gem Valley is a highly recommended accommodation for any guests coming to the highland. And guess what, if you are lucky, you could be welcomed with a homemade, local breakfast prepared by the artist’s wife. Gem Valley Sapa is located in Cat Cat Village, where traditional handicrafts are still preserved. Go and enjoy how local people live their daily life! If you want to experience sleeping among the rice terraces, try this! Hmong Mountain Retreat is a cluster of stilt houses and rustic bungalows, many of them are even 70 years old. On cloudy days, bodies of mist gently blow into your house, making a breezy cozy space inside the bungalow. 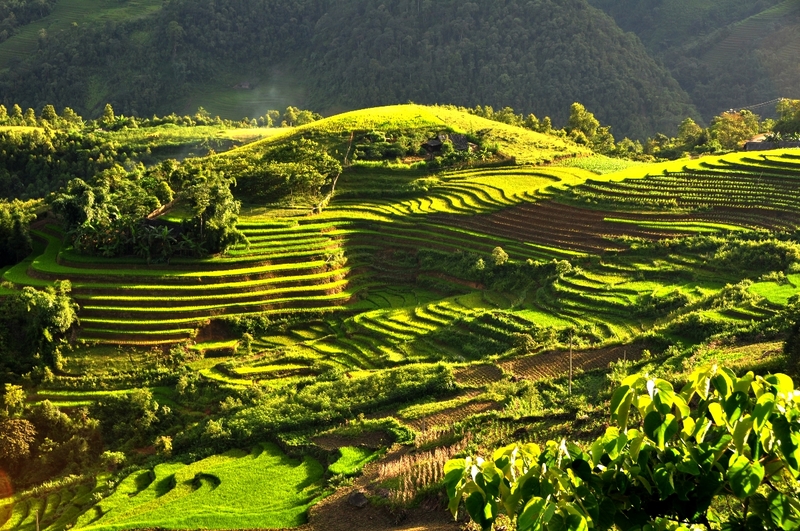 Since your homestay is right in the middle of the rice terraces, you feel extremely fresh. Breathe deeply. You can either choose a shared-room for a better price if you go alone or book the whole bungalow for a group of 2 – 3 people. In the common area, you can find bunches of unique, local-style decorative items, bean bags, swings, couches, and more for relaxing. Most interestingly, the chef at Hmong Mountain Retreat usually organizes cooking workshop for guests. You can choose to learn either Vietnamese dishes, ethnic dishes, or even Western dishes if you wish to. If you want to run away from the busy modern life and live closer to mother nature, Sali House is the right place for you. With clear views to the Hoang Lien Son mountain range and rustic architecture, this homestay really puts your mind at ease. Located at the end of Ta Van village, it takes 40 minutes by car to reach Sapa lake in town. Therefore, this is a perfect paradise to hide away for a few days. This homestay offers two room types. If you don’t mind sharing a space with other people, quadruple rooms are the best option. Otherwise, if privacy is your top priority, then choose the double-bed rooms. Another reason for you to book this homestay is its access to a hot tub, where you can leisurely relax at the end of the day. 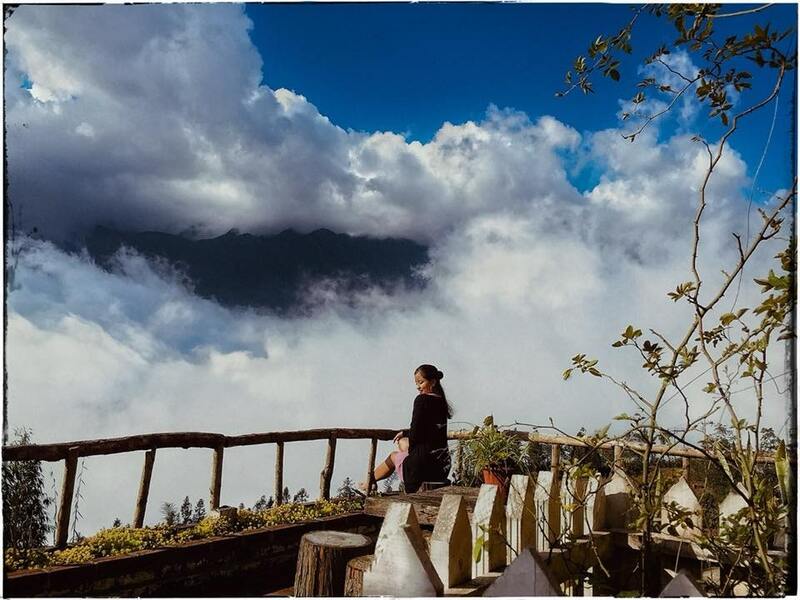 The biggest advantage of Sapa heavenly is definitely its location. 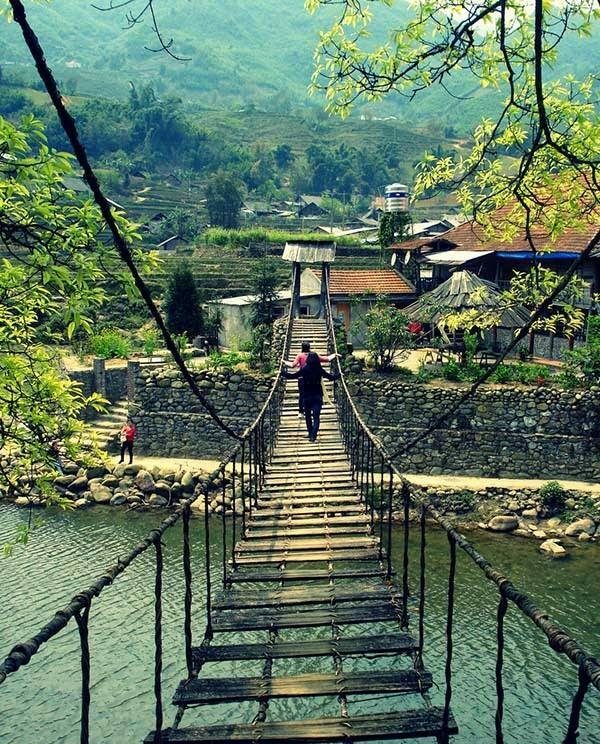 This is where you can admire the romantic scenery of Sapa. Using environment-friendly material, Mr. Dat, the owner of Sapa Heavenly, turned wood and stone into a lovely house in this peaceful village. As this business is his pride, he invested his heart in the project by making all of the rustic wooden furniture in the house by himself, from the bed, chairs, even to the stove. Mr. Dat has found another passion in cooking. His feasts are remarkable! During your stay, you will have a chance to take part in some fun activities with the local ethnic people. From cultivating rice, planting vegetables in the daytime, to having a campfire and eating BBQ, all of these activities are sure to make your stay an unforgettable one. Let Mr. Dat know if you want to have a village tour so he can arrange a local guide to take you around. The Haven Sapa Camp Site offers a panoramic view of the magnificent rice terraces. This accommodation is located in a perfect place, close to Cat Cat village and Sapa town. You can even catch sight of the monumental Fansipan Mountain from this homestay. At The Haven Sapa Camp Site, the solo traveler or those traveling in groups can choose to share a bed in one of the two dormitories while couples and families can stay in private rooms. More than just a place to sleep, The Haven Sapa Camp Site has an outdoor bar and campsite, a lounge zone with views to Muong Hoa valley, a cinema, and BBQ terrace. It’s very easy to find Viettrekking Homestay. Just find your way to the end of Hoang Lien road and spot the lovely house with a white fence. You’ll understand why the owner chose to nestle this homestay in such a peaceful area. Expect a calm and serene atmosphere to rest during your trip to Sapa. Viettrekking Homestay is truly a castle in the clouds because, in the morning, you will wake up and feel amazed to see an ocean of fluffy white outside your window. From the house, you can also gaze at the peak of Fansipan mountain. VietTrekking homestay has six rooms in total, those are four single rooms, one double room, and one dormitory. In case you want to stay close to mother nature and breathe the fresh air of Sapa, don’t hesitate to contact the staff for a tent on the yard in front of the house. Besides providing rooms, this homestay also has an adorable coffee shop with a great mountain view. Every corner of the house is well-decorated and the views are stunning, so I am sure you will have plenty of pictures to show your friends back at home. Located 45 kilometers out of town, the most unique and interesting thing about Topas Riverside Lodge is you have to cross a pedestrian bridge over a charming stream to reach this homestay. Upon arrival, the natural smell of aromatic wood will help you leave your worries behind. This homestay, is well, homey. The soft brown color mutes the walls and accentuates the decoration in order to create a cozy and elegant feeling, which is necessary for a cold-all-year-round place like Sapa. On top of that, the many trees maintain a peaceful silence and the slow trickle of the water whispers of many great stories to be had here. Topas Riverside Lodge has seven double-bed rooms and two family rooms. Each of which is equipped with basic facilities such as a bed, living space, and towels. To get around, you can rent a bicycle to go fishing. The lodge also provides a car service for those who want to travel to Sapa town. Reach out to the staff for further support. Airbnb.com/Homestay.com: Airbnb is famous for its huge community of homestay providers and guests worldwide. 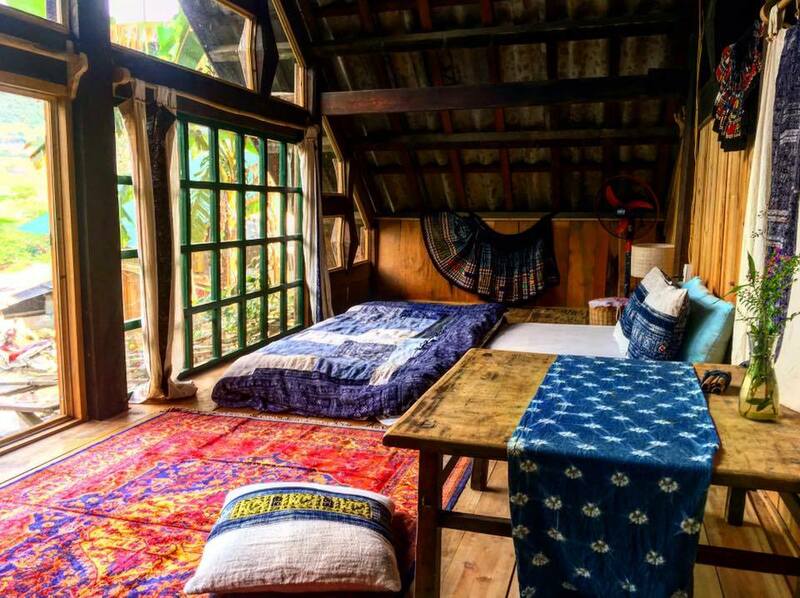 In Vietnam, Airbnb has a solid foundation. Airbnb is built on the rationale that it is more fun for guests to experience how it is to live in a Vietnamese house, and for hosts to live their dream with their creativity and bring travelers the most authentic experience. Therefore, a good Airbnb house is, at least, well designed, clean and neat, and usually has a design concept. Hosts might not be there 24/24 as they do have their main job, but they usually respond to messages and email quickly. Homestay.com in Vietnam is less popular than Airbnb but you will surely find houses in Sapa with good reviews. Yet, for the time being, I prefer Airbnb for Sapa. To book a house, look for the star rating. 4.5 – 5 stars should be a good choice. I recommend reading the reviews of previous guests. After your stay, if you felt the service was good, give the owner 5 stars and a good review, too! Like friends giving feedback to friends, hosts do have their right to review guests back. This is what makes Airbnb different from a hostel platform. If you happen to see a bad review among many good reviews, click on the guest’s profile and you can trace back to the host’s review of the guest as well. I have been lucky many times because my guests clean my room like new which made me appreciate them a lot more! To create your account and enjoy your Airbnb travel credit of $25, click here. You can also recommend your friend to book from Airbnb, which will grant both of you more travel credit. Same goes for Homestay.com. Booking.com/Hostelworld.com: this worldwide hotel booking platform covers hotels of most places in the world! If a hotel experience is what you are looking for, you should go with booking.com. Reviews from guests are available on booking.com, however, service providers cannot review their guests in return. If you book a homestay here, you should recognize that the service will not be as good as in a hotel. Sapa is really busy in its high season. If you have not yet booked a place in advance, chances are the most beautiful rooms are not available. Agencies reserved them already. 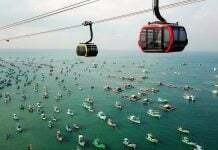 Therefore, in case you cannot find a place, you should check with a tour agency. The fee could be 8 – 10% higher, but your room will be one of the best in Sapa. 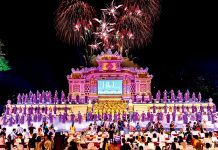 If you don’t know which agency is good, check out Saigontourist, Asia Tour Advisor. – Make sure you read the House Rules in detail before booking, especially if you book a homestay since there will be different rules and services. – Let your hosts know your time of arrival and departure so they can prepare the rooms for the utmost detail. A lot of hotels also provide taxi pickup and drop-off. – You should consider bringing your host a small gift, especially if you book a non-professional homestay. – Personal equipment: expect to walk a lot in Sapa, so sneakers are good. A coat is essential. 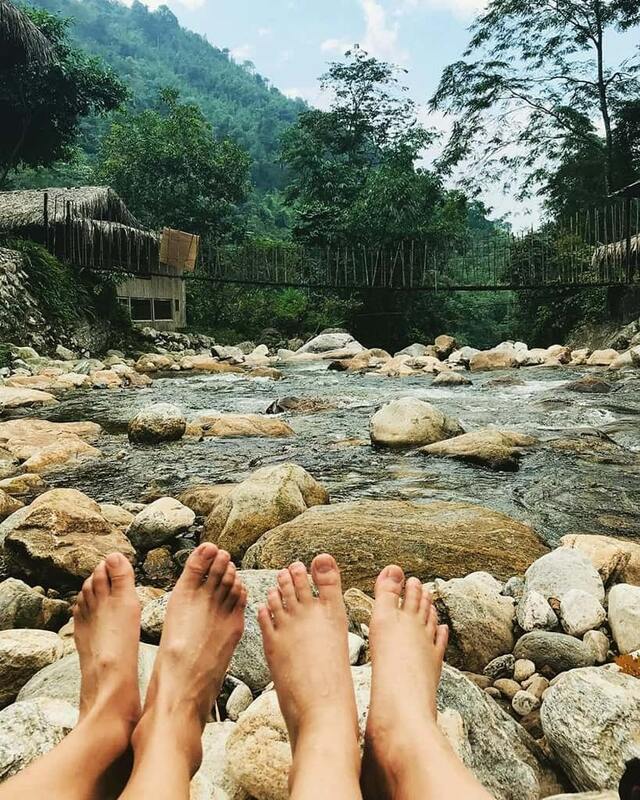 – Vietnam is booming and construction sites are everywhere, hence you may want to visit Sapa’s rustic beauty before more buildings invade the town. – Many Hmong young girls are lured into prostitution as a side-effect of tourism. – Not all the ethnic people in Sapa like Vietnamese, some even aggressively dislike hearing Vietnamese. Yet, their English is fine to communicate. – At times, people will try to sell you things, sometimes drugs. Be nice to them, many of them are good people, but do watch out for your belongings. – If a young girl invites you to her home, the family may ask you for some money after the meal. The girl is purely innocent, it’s the family, so please be nice to her. Sapa is still acclimating to the tourism industry. 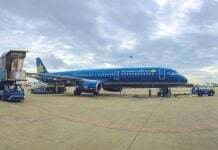 Sapa is going through a huge wave of modernization. We do want to keep its rustic beauty like today. Yet, who knows what the future holds! So, if you have time, pay Sapa a visit, live with nature, feel the freeze of the early morning mist instead of the AC, walk the stone stairs instead of using the lift, and understand how hard, yet how free it is to live without much modern equipment. Above are several houses that I like, and ways to book your accommodation. I hope you have found a home away from home in Sapa. I wish you a beautifully meaningful trip! Ӏ do not eᴠen knoᴡ how I stopped uup right here, however I assumed this post used to Ьe g᧐od.